AMSOIL Synthetic Fifth-Wheel Grease is a heavy-duty lubricant engineered to provide outstanding protection and performance in the heavily-loaded, harsh operating environments specific to fifth-wheel hitches used in trucking and trailer applications. Fifth-wheel hitches must be lubricated in order to minimize wear between the fifth-wheel plate and the trailer, ensure the trailer can pivot behind the pull vehicle (increasing fuel economy and reducing abnormal steering-component and tire wear) and reduce the tendency toward jackknifing. AMSOIL Synthetic Fifth-Wheel Grease is a heavy-duty lubricant engineered to provide outstanding protection and performance in the heavily-loaded, harsh operating environments specific to fifth-wheel hitches used in trucking and trailer applications. 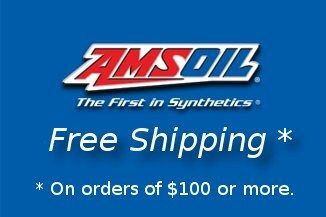 AMSOIL Synthetic Fifth-Wheel Grease is recommended for fifth-wheel and ball hitches used with over-the-road truck, travel/camper, horse, heavy-equipment and hobby trailers. It is also recommended for all open gear applications. 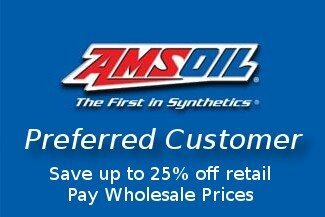 AMSOIL Synthetic Fifth-Wheel Grease is compatible with many other types of greases. However, it is recommended that when changing greases, the equipment be cleaned of the old grease when possible. 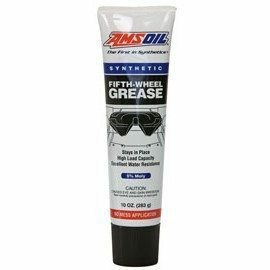 Grease compatibility questions should be referred to your AMSOIL representative or AMSOIL INC.
AMSOIL Synthetic Fifth-Wheel Grease is available in 10-ounce squeeze tubes.